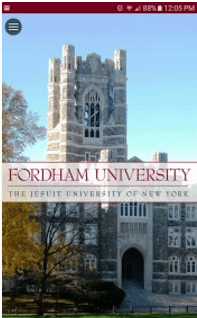 Fordham Mobile Go keeps you connected and organizes your life at Fordham. 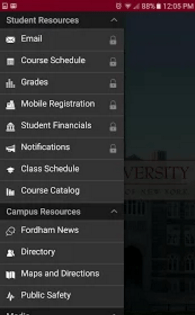 Check your email, course schedule, grades, your favorite social media sites, and much more. It is available to download from the Google Play store for Androids and from the iTunes store for iPhones. • Student financials — See your bill. Pay your bill.